Spelling: In some records the name is spelled “Morison” in others “Morrison”. “Eun” was a form of “Ewen” or “Hugh”. The book Morvern to Glenmorven, by Frank Fyfe and Bebe Douglas, contains considerable detail, background and surmise relating to this family. The Kaiwarra Camerons, by M J Ulyatt, also covers this family. Hugh Morrison was born on 28 May 1782 on the Isle of Mull to John Morison and Jannet Cameron. The Old Parish Register for Morvern recorded the marriage on 10 July 1819 of Hugh Morison, labourer, and Anne Turner, by Mr N McLeod, Minister. Anne Turner was born around 1800. Hugh Morrison worked as a cattle drover, and the family lived initially in the village of Glencripesdale in Morvern until they were cleared around 1820 to the hamlet of Knock on the Lochaline Estate, then at some time after 1830 they moved to the new village of Lochaline, erected by the landlord John Sinclair. Dugald McLachlan of Laudale and Killiemore (Mull) bought the Laudale estate in 1825. This estate bordered the Glencripesdale estate in the northern part of Morvern. Old Parish Registers for Morvern indicate that Hugh Morrison and Anne Turner had other children, not on the passenger list. These included Katrine born on 12 March 1820, and an un-named daughter born on 15 October 1821, who both died at birth, and Katherine, born on 24 August 1823, who stayed behind in Scotland. Following their arrival in Wellington, the Morrisons lived initially at Kaiwarra, then moved to Evans Bay, where Hugh worked on J C Crawford’s property on Watts Peninsular, which was managed by Archibald Gillies. They later moved to Mein Street in Newtown. Anne (Turner) Morrison died on 11 June 1844, following the birth of a daughter, she was aged 44. In 1846 the family moved to the Wairarapa, and took up their land at Hakeke (later called Glenmorven), near where Greytown now stands. Intelligence was received at Greytown, on Thursday, of the death, at eight o’clock that morning, at his residence, Glenmorven, of Hugh Morrison, Esq. one of the earliest colonists of New Zealand, having arrived here in 1840. He was also one of the first settlers in this district, coming here in 1846, where he has ever since resided. The deceased was a worthy man, and universally respected. All persons visiting the Wairarapa were ever sure to receive at his house a warm and hospitable reception. He has left two sons and three daughters all of them married and settled, and a whole host of grand-children and greatgrand-children. Deceased was interred in the Cemetery here yesterday, the funeral procession being very large. After arriving in New Zealand Hugh and Anne had a child, Annie, in 1844. Hugh Morrison was 18 and a labourer when he came to New Zealand on the Blenheim in 1840. Hugh Morrison died in 1843 at Wellington, aged 22, possibly from a fall from his horse. The Old Parish Register for Morvern for 1825 recorded that Hugh Morison, crofter, Knock, and Anne Turner, had a legal son Duncan, born 27 March. Duncan Morrison was recorded as a labourer of 16 in the Blenheim passenger list. Duncan Morison married Mary McPhee on 4 June 1856. Mary was the sister of Hugh McPhee, Ann Morrison’s second husband. The McPhee family also came from Knock in Morvern. The many friends of Mrs. Duncan Morrison, of Glenmorven, Morrison’s Bush, near Greytown, writes the Standard, will regret to hear of her very sudden death, at the age of 57, which occurred on Thursday morning. It appears the deceased, who had been an invalid for some years, did not complain of anything unusual on the morning in question, but on taking her a cup of tea, between 9 and 10 o’clock, it was discovered that she had passed away, and her sudden departure was a painful shock to the family. The cause of death has not yet been ascertained, but it is supposed to have resulted from the bursting of a blood vessel. Mrs Morrison has been many years a resident in Moroa, she having resided there since 1855, and was greatly respected by all who knew her. Mrs Morrison was one of kind-hearted old settlers who was always ready to entertain a visitor, and her household kindnesses will long speak for her. An inquest will be held to-day, and the funeral will take place at 12 o’clock. The inquest confirmed that Mrs Morrison died from natural causes. Duncan Morrison died on 29 November 1889 as a result of a fall from his horse. Greytown, 30th November. Death has removed two more of our early settlers. Mrs. Jones, who came to the Wairarapa in 1853, died last Wednesday, and Mr. Duncan Morrison, of Morrison’s Bush, was thrown from his horse near Blairlogie and received such injuries that he died shortly after. He came to this colony in the ship Blenheim, and lived for some years at Evans Bay. He then came up to the Wairarapa with his father, and has lived at Glenmorven, his run, ever since. His funeral, which takes place on Monday, will draw together a large number of settlers from all parts of the valley. FATAL ACCIDENT TO AN OLD SETTLER. In addition to particulars telegraphed and published in Friday’s issue, one of our staff whilst at Blairlogie yesterday gained the following information of the sad accident which befel Mr Duncan Morrison and ultimately led to his death on Friday evening, On his way up to Blairlogie Mr Morrison called at Mr Carswell’s Hotel at an early hour on Wednesday morning. During his stay he intimated he was paying a visit to his late brother’s people at Blairlogie, where he had not been for many years. He seemed in excellent spirits and expressed the pleasure he felt at being able, after such a long interval, to again pay a visit to that locality. His horse appeared to be a very spirited animal, especially for a man of his great weight (over 19 stone) and age to ride. Mr Morrison proceeded on his journey and had scarcely crossed the threshold of the estate, when his horse shied and threw him heavily to the ground. How long he lay there even the poor fellow himself could not afterwards tell, but it must have been a considerable time, The first to notice him lying on the road was the mailman from the East Coast, who jumped off his horse, had a look, and then rode on. It was several hours after this when Mr Urquhart, buyer for the Happy Valley Meat Company came along, and carried the news to Mr A. McPhee, at Blairlogie station, that an old gentleman, very much resembling Mr Duncan Morrison, of the Lower Valley was lying on the road apparently badly hurt. Mr McPhee immediately rode off to ascertain if anything serious had happened. When he came up to Mr Morrison he found him sitting on the roadside. In reply to inquiries, Mr Morrison stated the horse had shied at some object on the road and threw him. That was all that he could remember. Poor Morrison at this time was almost smothered in mud, and drenched with rain. Seeing that be was badly hurt, Mr McPhee, with the assistance of the roadman (who happened to be at work a short distance away), conveyed him to Mr Carswell’s Hotel, This was late in the afternoon. Being under the impression the case was not a serious one, medical aid was not called in that evening. In the meantime everything that could possibly be done to relieve pain was resorted to. On Thursday he appeared no easier, and a wire was despatched to Dr Milne, who promptly attended, and reimained at the hotel all night. On Friday morning the doctor left for Masterton, and returned in the afternoon in company with Dr Hosking. Within a short time of their arrival, although they did everything possible to relieve their patient’s suffering, he expired. Great sympathy is felt with the surviving relatives, this making the third death in the family in the short space of two months, Mrs Strang, a daughter of Mr D. Morrison, having died a month ago, and John Morrison, brother of deceased, on the 27th of September. He leaves a large family of children and many connections to mourn their loss. Deceased came out to New Zealand in the ship “Clydesdale” [sic] forty-seven years, and settled with his parents at Glenmorven where he carried on the pursuit of a grazier in an extensive way. Hugh Morison, born in 1857, died in 1859. Ann Morison, born in 1858, died in 1891, married Donald McLaren in 1882. Mary Morison, born in 1860, died in 1889, married John Strang in 1883. Hugh Morison, born in 1861, died in 1938, married Isabel Hodge in 1891. Colin Morison, born in 1862, died in 1918. Sarah Morison, born in 1863, died in 1929, married Peter Lee McLaren in 1889. The Old Parish Register for Morvern records that that Eun [Hugh] Morison, crofter, Knock ,and Anne Turner, had a legal daughter Anne, born 21 March 1827. Anne Morrison was recorded as a housemaid of 14 on the Blenheim passenger list. Anne Morrison married Donald Smith on 2 October 1845 in Wellington. The Church Register recorded that Donald Smith, now of Wellington, formerly of Kirkmichael, Perthshire, N.B., and Ann Morison, daughter of Hugh Morison of Morvern parish, Argyllshire, N.B., now of Wellington, were married. The witnesses were Hugh Morison, Katherine Bethune and Andrew Reid. Donald Smith was christened in Kirkmichael, Perthshire, Scotland, on 20 April 1826, the son of John Smith and Barbara Watson. Donald Smith, born in 1846, died in 1920, married Margaret Morrison in 1870. Ann (Morrison) Smith married Hugh McPhee on 5 June 1855 in a joint ceremony with her sister Mary, who married Alexander Cameron. Hugh McPhee was the son of Hugh McPhee and Ann Cameron of Knock, Morvern, Argyll, and would have known the Morrisons there. In 1854, Hugh, with his mother, sister Mary and brother Donald, emigrated to Australia, but in 1855 came on to New Zealand. According to New Zealand BDM records, Hugh McPhee died on 14 April 1859. Margaret Ann McPhee, born in 1856, died in 1932, married Thomas Harvey in 1876. Hugh Morrison McPhee, born in 1857, died in 1916, married (1) Margaret Daysh in 1883, (2) Hannah Compton in 1894. Archibald McPhee, born in 1858, died in 1938, married Beatrice Hughan in 1892. 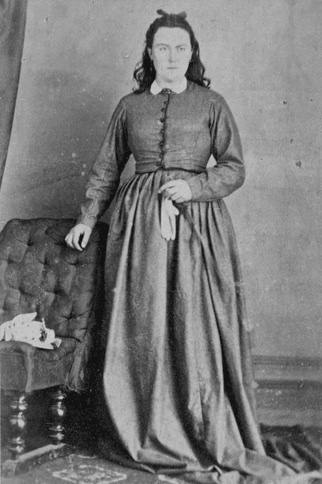 Ann (Morrison) McPhee, formerly Smith, married Duncan McLachlan on 22 July 1862. Duncan McLachlan had come to New Zealand on the Oliver Lang in 1858, and was related to the McPhees by marriage. Ann (Morrison) McLachlan died on 28 June 1900, aged 73. Annie McLachlan, born in 1863, died in [….]. Colin McLachlan, born in 1865, died in 1939. The Old Parish Register for Morvern for 1829 recorded that Hugh Morison, Knock, and Anne Turner had a legal son, John, born on 22 March. John Morrison was described as a cowherd of 12 on the Blenheim passenger list. John Morrison worked on the Glenmorven property, but was also involved in shipping cattle to the Otago goldfields and purchased land in Christchurch. John Morrison married Jessie Morrison in 1868. Jessie Morrison was the daughter of Hugh’s cousin Alexander, who emigrated to New Zealand on the Oliver Lang in 1858. In 1870 John Morrison purchased the Whareama Station and soon afterwards he bought Blairlogie from the Cameron brothers. He also owned Bowlands. The sufferings of Mr John Morrison of Blairlogie, are over. A few days ago he came up from Wellington in a moribund state to die amongst his own people, He attempted to travel to the Whareama, but became exhausted by the time he reached Otahuao and took shelter at the house of a kind friend, Mr John Drummond. The nature of his malady was such that he was unable to take nourishment, and though doctor after doctor visited him nothing could be done but wait patiently for the inevitable end. This morning he breathed his last, and will long be remembered by a thousand friends as one who always welcomed both rich and poor to his homestead and dispensed hospitality with an ungrudging hand. The death is announced yesterday of Mr. John Morrison, of the Wairarapa, one of the oldest settlers in the district, and after whom Morrison’s Bush was named. He arrived in the colony when quite a boy, accompanied by his parents, in the ship Clydesdale [sic], in 1842 [sic]. The emigrants were almost exclusively Scottish Highlanders, and after their arrival at Kaiwarra, near Wellington, their interviews with the Maoris, to whom the Gaelic was an extraordinary tongue, created many an amusing scene. The cause of death was stricture of the gullet, so that really he was starved to death. Jessie Morrison died on 10 March 1922, aged 77. John Morrison, born in 1869, died in 1902, married Helen Blanche Calders (grand-daughter of Blenheim passengers) in 1900. Alexander Morrison, born in 1870, died in 1892. Jessie Isabella Morrison, born in 1872, married (1) John Chapman Andrew in 1894, and (2) Francis Arnot Bett in 1910. Margaret Ann Morrison, born in 1875, died in 1957. Mary Morrison, born in 1876, died in 1883. Hugh Morrison, born in 1878, died in 1951, married Muriel Stanley Booth in 1908. Catherine Maud Christina Morrison, born in 1882, died in 1950. Rupert Donald Matthew Morrison, born in 1884, died in 1918, married Amy Violet Thompson in 1912, in Australia. The Old Parish Register for Morvern recorded that Eun Morison, crofter, Knock, and Anne Turner had a legal daughter Margaret, born 20 December 1831. Margaret Morrison was 10 when she travelled to New Zealand on the Blenheim in 1840. According to New Zealand BDM records, Margaret Morison married William Stewart on 25 June 1850. The New Zealand Spectator and Cook’s Strait Guardian of 29 June 1850 carried the Notice: “On Tuesday, the 25th inst., at the Scotch Church, Wellington, by the Rev. W. Kirton, Mr William Stewart of Wellington, to Margaret, third daughter of Mr. H. Morrison, Wairarapa.” Apparently the witnesses were Alexander Grant and Donald McLean. William and Margaret travelled to Canterbury in 1850 with John Macfarlane and his wife Catherine Cameron (see Donald Cameron and Christian McLean). They landed at Heathcote, and the men became supervisors for the building of the road into Christchurch. William and Margaret took over the lease of the Heathcote Ferry Arms, then moved into Christchurch in 1853 to establish the Royal Hotel in Oxford Terrace. William Morrison Stewart, born in 1852, died in 1935. David Mitchell Mackay was a clerk in the Immigration office, and after the wedding the couple moved back to Christchurch, where they lived in Antigua Street. In September 1869 David Mackay, immigration officer, was brought up at the Police Court, Christchurch, charged with embezzlement of public funds of the province of Canterbury. The Timaru Herald of 11 December 1869 reported the Supreme Court proceedings before Mr Justice Gresson, with the final outcome being that the judge accepted the defence argument that the Crown had failed to establish to his satisfaction that the prisoner was clerk in the strict sense, or at all events, that the money he received was the property of Mr Rolleston [Canterbury Superintendent]. That being the case there was no use in letting the evidence go before the jury, whatever might be the moral guilt of the prisoner, and the judge directed them to return a verdict of acquittal, which they did, and the prisoner was discharged. It is not clear what happened to David Mitchell MacKay, but at the time of the marriage of his daughter Margaret in 1888 he was described as “the late D.M. MacKay of Christchurch”. Hugh MacKay, born in 1862, died in 1932, married Catherine Mary Bunny in 1924. Margaret Ann Mackay, born in 1864, died in 1942, married William Andrew in 1888. John Stanley MacKay, born in 1867, died in 1871. Name not recorded [possibly Mary Isabella] MacKay, born in 1869. Mary Morrison was 8 years old when she travelled on the Blenheim to New Zealand with her family. On 5 June 1855 Mary Morrison married Alexander Cameron, another Blenheim emigrant, son of Donald Cameron and Christian McLean. Alexander Cameron died on 19 December 1899 aged 76, and Mary (Morrison) Cameron died on 11 October 1911 aged 77. See Donald Cameron and Christian McLean for more information about this family. The Blenheim list recorded Colin Morrison as a child of 6. Masterton District Library and Archive, Picture Wairarapa: Ann (Morrison) McLachlan, formerly McPhee, previously Smith; Mary (Morrison) Cameron. A John Turner, a tailor, was already resident and operating his business in Wellington before the arrival of the Blenheim. There were two John Turners in the jury lists for Port Nicholson in 1845-1850: John Turner, tailor, Willis St (1845) Lambton Quay (1847); and John Turner, shoemaker, Pipitea (1845), Willis St (1847), River Hutt (1849). A John Turner, along with a James Turner and others, was a steerage passenger on the Thames, which left Wellington for California in February 1850. No further information has been confirmed for John Turner. The embarkation list for the Blenheim listed Isabella Turner as a housemaid aged 28. Family tree information on Ancestry.com indicates that Isabella Turner was born in Morvern, Argyll, Scotland, around 1812. There is a Scottish OPR record for Morvern for the birth of an Isobel Turner on 20 July 1810 to Patrick Turner and Mary MacIntyre. According to NZ BDM records Isabella Turner married Archibald Gillies on 5 March 1844. Family tree information suggests that Archibald Gillies was born in Kilmallie around 1816 to Alexander Gillies and Mary Cameron. Based on research prompted by the comment below, it appears that Archibald Gillies accompanied James Coutts Crawford in a sea voyage from Adelaide to Sydney in 1839, then later travelled on the Coromandel from Sydney to Port Nicholson, arriving around 5 September 1840, probably in the employ of James Coutts Crawford to look after the sheep, cattle and horses that were on board. Alexander Gillies leased land in the Wairarapa with Angus McMaster, which was eventually split, with McMaster taking Tuhitarata and Gillies Otaraia. Isabella Gillies died in 1865. 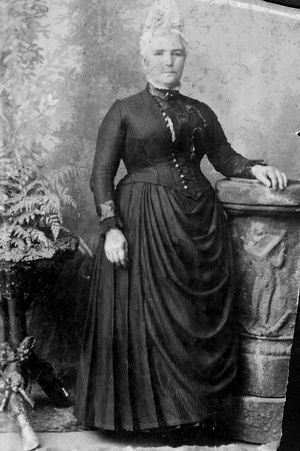 Annie Gillies, born in 1842, married Charles James Anderson in 1866. Mary Gillies, born in 1844, died in 1916, married Duncan Cameron (see Donald Cameron and Christian McLean) in 1863. John Gillies, born in 1848. Robert Gillies, born in 1850. Alexander Gillies, born in 1851. Hugh Gillies, born in 1852, died in 1934.